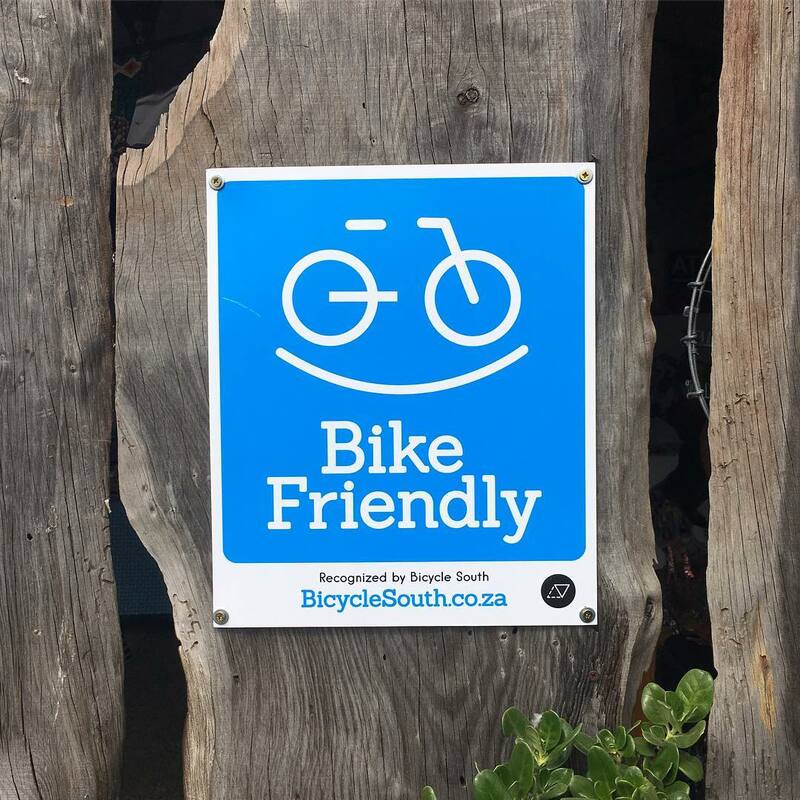 Bike Friendly businesses and accommodation venues not only welcome cyclists, they also provide bike friendly services and amenities. The following best practices are intended to help you provide for the needs of cyclists and become a certified Bike Friendly Business. Bicycle Parking either bike racks or a secure area to park. Our Bike Friendly business members can access discounts on bike racks from selected suppliers. Bike Storage. If you are a lodging property, you must provide secure and dry bike parking for overnight guests – e.g. allow visitors to bring their bikes into their rooms or provide a storage room or locked, fenced-off area in your parking garage or parking lot. Make your campsite Bike Friendly e.g. allow flexible reservations and no-turn-away policies for self supported bicycle travelers. See full recommendations below. Bicycle Cleaning Station – should include hose, rags, brushes, etc. Bicycle Floor Pump – both presta and shrader valve options. Bicycle Mechanic or full workshop facilities or adjoining a bike shop. Complimentary Charging – plugins for charging cellphones, electronics or electric bikes. We recommend that your front line staff be able to share local knowledge about where visitors can find bicycle shops, bike rentals, locate maps and places to ride whether they are mountain bikers, road cyclists, or a family with kids. To find this sort of information, check out Bicycle South’s Ride Resources or ask your local bicycle shop or cyclists in your community. Most importantly, we recommend that your front line staff is welcoming and friendly to visitors – especially to visitors who ride bicycles! Campsites worldwide are implementing policies and practices to welcome cyclists and provide specific services and accommodations for people who arrive by bicycle. The unpredictable nature of cycle travel, where unplanned factors (like terrain, weather, gear malfunctions or injury, etc) can impact itineraries means that self-supported bicycle travelers (who carry their own gear and do not have vehicular support) need more flexibility when it comes to camping options. By making available campsites that do not require reservations and implementing a no-turn-away policy that ensures that however full a campsite is, there will always be somewhere for touring cyclists to pitch a tent. Bicycle (hiker/biker) campsites – Provide a dedicated camping area (individual or group sites) for people arriving by bicycle or on foot, that does not require reservations and works on a first come, first served basis. The campsites should be accessible from the road and be near restroom facilities and water. Group bike camping areas save space while also providing a way for bicycle travelers to be social. If other sites are full, put up a sign showing that bike camping is still available. No-turn-away policy – when regular sites are full and a self-supported bicycle traveler or non-motorized traveler shows up, make sure there is an emergency tent camping space set aside that can be used. This can be in a common area or unused space near drinking water and restroom facilities. Make the reservation process as flexible and convenient as possible. a. Bicycle travelers are more likely to only need a one-night stay before they move on, so it is best to exempt them from two- or three-day minimum reservations. b. If reservations are required, allow cancellations 24 hours before the reserved time (as opposed to multiple days in advance). Sheltered area – where people who are arriving by bike can get out of the weather to prepare food, rest, etc. Bicycle parking that is secure and preferably protected from weather. Choose racks that can accommodate bikes with pannier bag. Electrical outlets – to plug in and re-charge phones, laptops or electric bicycles free of charge. Bicycle-specific amenities such as bicycle tools & basic bicycle repair kit. Maps or advice on local cycling routes and trails. Onsite basics – Where possible provide fire wood and basic groceries for sale at the campsite, as it is difficult for cyclists to transport heavy goods like firewood. Lockers with locks to securely store valuables and protect food from wildlife. Provide a first aid kit cyclists you can use in case of emergencies. Welcome bicycle travelers and let them know that you are a bike friendly campsite. Post welcome signs and bike friendly signage. Promote the bicycle amenities & services you offer through your website, social media, etc. Keep staff informed about bicycle specific policies, amenities and services. For more information please see this guide to best practices from Adventure Cycling in the USA.